Milwaukee Tool continues to expand its M12™ line offerings with the introduction of the new M-SPECTOR FLEX™ system. Designed from the ground-up to give users the versatility they need, the new recordable inspection camera features an innovative PIVOTVIEW™ camera head cable that gives users full control of the camera head for faster positioning. This game-changing camera head pivots 270° with the turn of a dial. You’ll have complete control over the positioning of the camera head throughout the entire inspection, without the need to feed a cable multiple times – saving time and frustration. To better illuminate an inspection area, a state-of-the-art LED is built into the camera head that is 15X brighter than other inspection cameras on the market. Combining those new features means you’ll be able to see more, easier and faster. 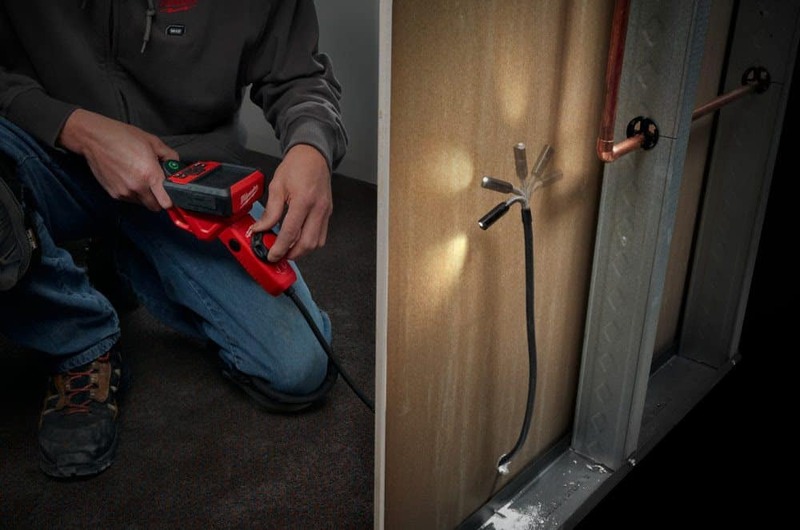 Many inspection cameras require extensions for longer distance probes such as in drain lines or HVAC ducts, which cause bulky, inflexible connection points making it extremely difficult to maneuver the camera through tight spaces. The M12™ M-SPECTOR FLEX™ System is the only camera system on the market with a 9’ cable, giving users extended reach without the need for extensions. The 12.5mm diameter and shortened camera head length will also give you easier and greater access to tight spaces than standard 17mm cameras. A wireless 3.5” LCD display screen allows you to comfortably view images in any position from up to 15 feet away while you capture high-resolution images with a 640 x 480 camera sensor, complete with digitally rotating and zooming images for the ideal view. Images can also easily be saved and transferred from the M-SPECTOR FLEX™ console with the included 8GB SD card or Micro-USB connection port. By being a part of the M12™ family and using the REDLITHIUM™ rechargeable battery, the tool is compatible with the entire Milwaukee M12™ System of over 70 professional power tools. 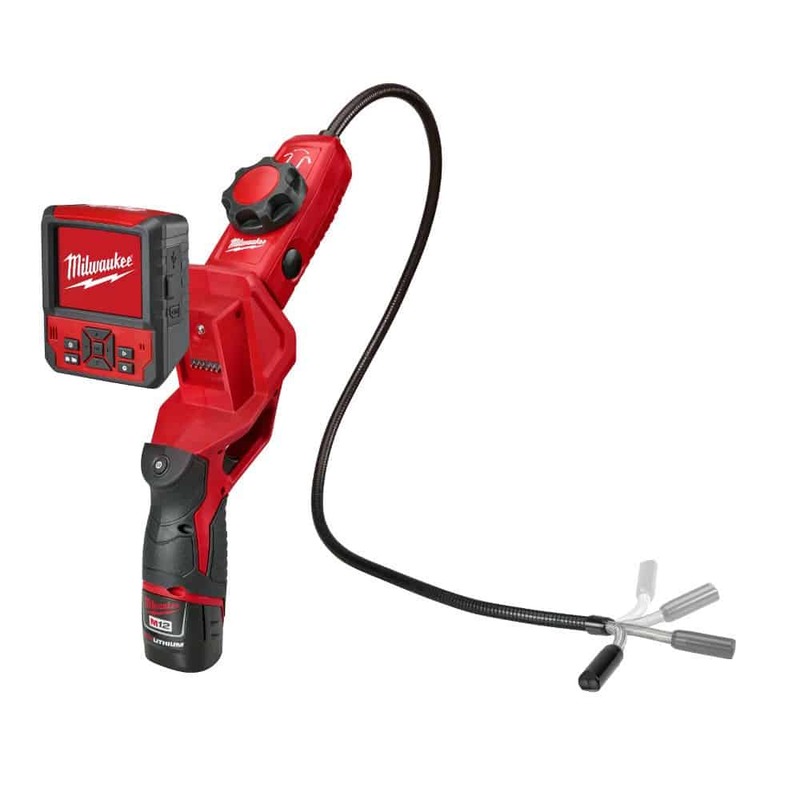 It’s clear this new Milwaukee system is perfect for remodel inspections, facility maintenance, machinery and production lines, and residential/commercial trades where documenting inspections is essential. Product bundles start at $479 and will be available in June and July wherever Milwaukee tools are sold.